Earlier, few organizations were advertising jobs for this role, but now you have many to apply, which makes it easier for you to get a role which has such flexibility. What is Search Engine Evaluation? We all go to search engines, that is, Google or Bing or Yahoo every day to search anything. Every search engine has a set algorithm according to which it shows the results. But, even though the algorithm is perfect, the results sometimes don’t match the queries (your search term). A search engine evaluator takes your search term and matches it with the results of the search engine and decides the compatibility of the results. The search engine evaluation is performed using preset guidelines. Sounds too technical? Don’t worry it is much easier than it looks. The job of search engine evaluator is quite simple. Evaluate the results of the search engine on the query according to the guidelines. For example, if you type Apple in Google, and your results come out as the fruit apple, then the suitability or relevancy of the results is small. The majority of the users would have wanted the company Apple in the results. You try to understand the intent behind the search and rate accordingly. Some companies have job roles like Social Media Evaluator; they are almost similar to the work. The results you will have to filter are based on the social media. Do you fit in this role? If you are good with your web navigation, know your way around websites, are a quick learner and have good internet connection, then you fit the role. One thing you will have to keep in mind is, you need to be up to date with your regional culture, news and everything going around. The reason for this is, the nature of work is mostly region related. For example, if you are located in Germany, then the queries you get would be completely according to that country. If you can understand a set of guidelines and are adaptable, then you can take a shot at this. There are five organizations which advertise and recruit Search Engine Evaluators/ Social Media Evaluators. The company advertises Search Engine Evaluator jobs regularly. Positions are open all around the world in different countries. They usually be part time, with minimum 10 hours and maximum 20 hours. There will be an assessment test after you apply and you will be recruited after passing it. The pay varies with different countries. Lionbridge has a position currently available in China advertised on the company’s website, but keep checking as the positions get updated every month. Appen is a global leader in speech and search technology services. It is another company which has Search Engine Evaluator roles available very frequently. The role is called Web Search Evaluator and is much similar to the search engine evaluator. It advertises in most of the countries. There is another role called Social Media Evaluator which is currently available on the website. You will be working for a social media company to refine the relevancy of the feed. You will have to commit 1-4 hours a day, five days a week. You will have assessment tests and practice ratings before you get hired. Pay varies with different countries. Leapforce is a very trusted company and has been in the search engine evaluation business for a long time. The role Personalized Search Engine Evaluator, is based on the tasks of your personalized Google account. You should be an active Google Plus user and use Google search engine in most of your searches. You will have to take a qualification test before getting hired. The work will be minimum 10 hours and maximum 20 hours a week. iSoftStone recruits in many countries. The role presently on the recruiting website is Search Engine Analyst/Online Web Evaluator. The nature of the work is similar to the other positions, rating the search results. You will be given a set of guidelines according to which you will have to rate. There are qualification test and training period which you have to get through to get hired. The hours of work range between 10 to 25 hours a week. This company hires only in the United States. For now, Zerochaos is not advertising any roles on their website but do keep visiting company’s website to see if any new positions are available. Because most of these organizations offer jobs in different countries, the pay differs according to the location. There are more side hustle opportunities if you are web savvy. If you can follow a simple set of instructions and go around checking websites, then you can consider Website testing as a side gig. Website testing is relatively easy and can be done in your own time. You have to go to the website and test to see if everything is working and does not require much of expertise. Along with websites, you can even test apps. You can try these gigs at Usertesting.com, Loop11.com, Trymyui.com. Microtasks is another option for some extra cash; these are small micro jobs which you can do online and are small editing jobs, research, writing, etc. Companies like Amazon Mechanical Turk, Clickworker, Appen Butler Hill have such tasks. 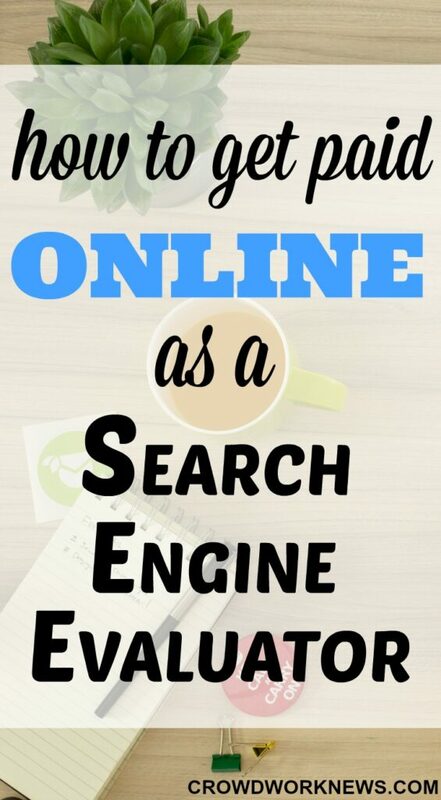 So, if you think you are ready to become a search engine evaluator, go ahead and give it a try. They are very flexible and totally non-technical jobs which can be a good side hustle. Do you find these roles interesting? Please share your thoughts below.